Switzerland is known throughout the world as a country of banks, millionaires and high Alpine Mountains with peaks that rise high in the sky. Traveling around this country, you will enjoy fascinating views of landscapes of Alpine valleys will learn a lot of interesting facts about traditions, cuisine and the way of life of the people of Switzerland. 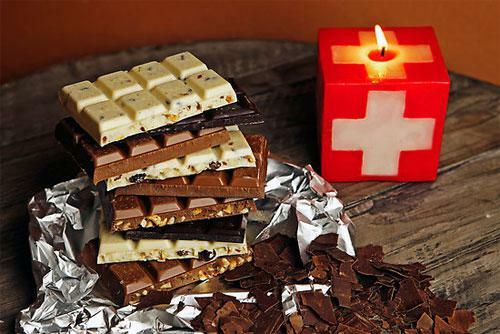 But in this article, we are going to talk about souvenirs that would reflect the life of Swiss people in the best way and could become perfect gifts to your friends and relatives. You may learn the best ideas for souvenirs and gifts in these recommendations of your Private Guide in Switzerland. Everybody has heard of delicious Swiss chocolate. In this country, producers of that delicacy do their best to make their products incredibly tasty and some hand-made sweets are more like a work of art. Chocolate has become a symbol of the country and one of their export items. World brands of chocolate manufactures like Nestle, Teuscher, and Frey conquered the world starting from Switzerland. Therefore, you should visit SOOR, or Migros, shops and buy some sweet gifts for your friends and kids. There are tours through the chocolate factories during which you will see a wide diversity of chocolate products of different kinds and flavors. Moreover, in the factories, you may receive a discount or can get a chance to buy some chocolate of unusual issue that are produced in limited quantity. Swiss knives are popular around the world even more then the Swiss chocolate. A small folding army knife equipped with the most unexpected tools and devices from blades and scissors to the magnifying glass and USB Flash drive is easily recognizable for every man from all countries of the world. Any child or adult man would receive such knife as a present with admiration and gratitude. By the way, the price is affordable. The knife costs from $40 to 120 USD. Another Swiss legend is famous Switzerland cheese. In the market or in the stores, you will find a wide diversity of cheeses priced from $20 to $35 USD per kilogram usually packed by 100-200g pieces. 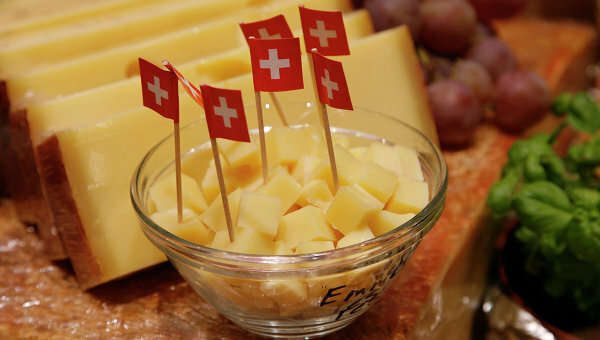 The most popular cheeses in Switzerland are Appenzeller, Luzerner, Tilsiter, Sbrinz, Emmentaler and Le Gruyere. You can find a set of these cheeses that includes a piece of each kind that could become an excellent gift from Switzerland. There are different gift packages in wooden boxes that are perfectly good as a tasty and luxurious-looking present. For the true cheese connoisseurs, many special tours through the cheese factories can be organized. During such a tour, you can try a great number of assorted cheeses and learn a lot of new information about the process of cheese production. 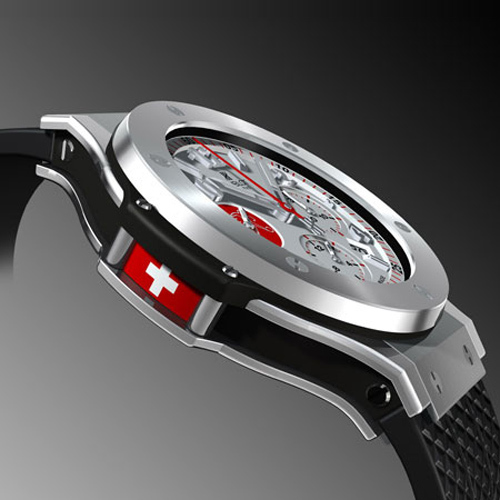 The best watches in the world are also produced in Switzerland. Local watchmakers are famous for their high-quality work and you may not fear to buy a fake. You will surely notice that the price of each model of watch is just the same no matter if you find them in a small shop or in the Mall. So, the difference between such shops is only in a wider selection of choices. 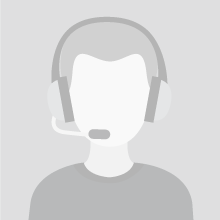 Among the quite expensive brands, priced about tens of thousands USD, you will surely find much cheaper models like Swiss Military Hanova, Adriatica or Cover. These brands cost about $80 to $100 USD and may become an excellent gift to your friends or loved ones. There are more ideas for souvenirs: a wall clock with a cuckoo, a set of dishes decorated with the symbols of the country, and figurines of the cows that are strictly associated with chocolate and Switzerland. You can purchase fondue mixtures as a perfect gift to those who love cooking. You will find this product in ordinary shops and supermarkets in the cheese departments. For the true connoisseurs of aesthetic beauty, you can buy porcelain and glass vases and figurines that will perfectly decorate the interior of any room or hall. Such gizmos can be found in the beautiful city of Lucerne located on the shores of the Lucerne Lake. If you enlist the help of a private guide during your travel through the Switzerland, he will definitely recommend some more interesting souvenirs. You can buy, for example, music boxes of small houses with opening roof and doors, T-shirts and caps with the flag of Switzerland or image of a cow, Hirschwurst – delicious sausages, little cow bells and magnets with the Switzerland Cross, pens, keychains and many other interesting things that will definitely be loved by your friends and relatives. This northern European country is the birthplace of Vikings, famous sailors, explorers and whalers. It is not only a country of rich historical heritage, but also a popular touristic destination that attract travelers with its culture and traditions, beautiful cities and amazing cuisine, stunning fjords and incredible fishing. The most often asked question that arise during such trip is - what gifts and souvenirs from Norway would reflect the best way the mentality of the people and remind you about those wonderful days you spent in this country. The best ideas for souvenirs you will learn from the recommendations of your Private Guide in Norway. The military past of Norway is strictly connected with Vikings. These fearless warriors left a deep mark in the history of Europe. In the gifts shops and markets of Norway, you will find a lot of souvenirs related to Vikings like figurines, clothes, models of boats, silver cups and bowls, tableware, silver jewelry and weapons made of precious metals. People of Norway achieved considerable success not only in conquering and exploration, but also in improving their fishing skills. Producing excellent fishing tackles, fishing rods and accessories is what Norway crafters are most skilled in. Such a rod received as a present would surely be appreciated by those who can’t live without fishing. Moreover, in this country, you can find excellent clothes for tourism and other outdoor activities to protect you from any weather. Thanks to the harsh climate of Norway, production of such kind of clothing is well developed and are a great demand among the tourists and guests of the country. When buying warm clothing, you will surely pay attention to wool sweaters, scarves, leather boots and gloves combining good body protection with a stylish and elegant design. Warm shoes bought in Norway are incredibly durable and just hardwearing. That is why they are highly estimated in the countries with a cold climate. Wonderful toys and clothing for children are of a good quality as well. When manufacturing, all possible inconveniences are considered and corrected. Allergenic materials are either excluded or processed. Woolen details of kid’s clothing are very soft and can even be worn by small babies without any inconvenience. 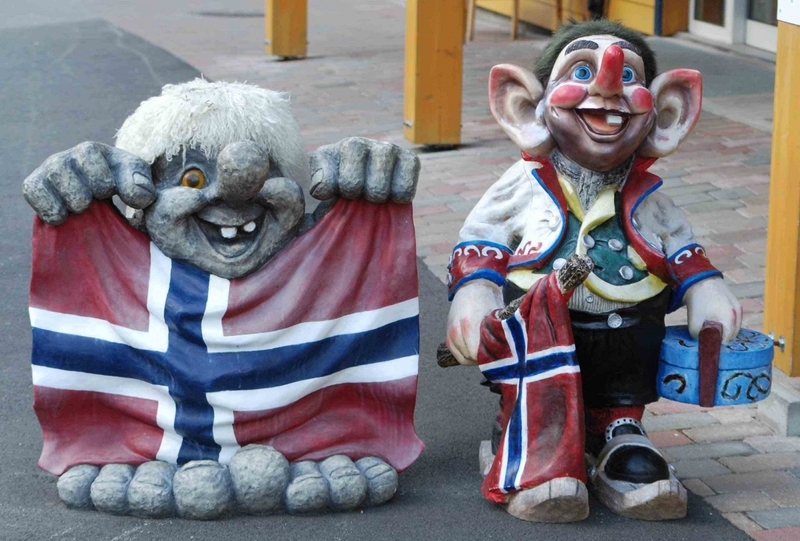 Your private guide in Norway will definitely recommend that you buy some troll figurines as a traditional Norway souvenir. 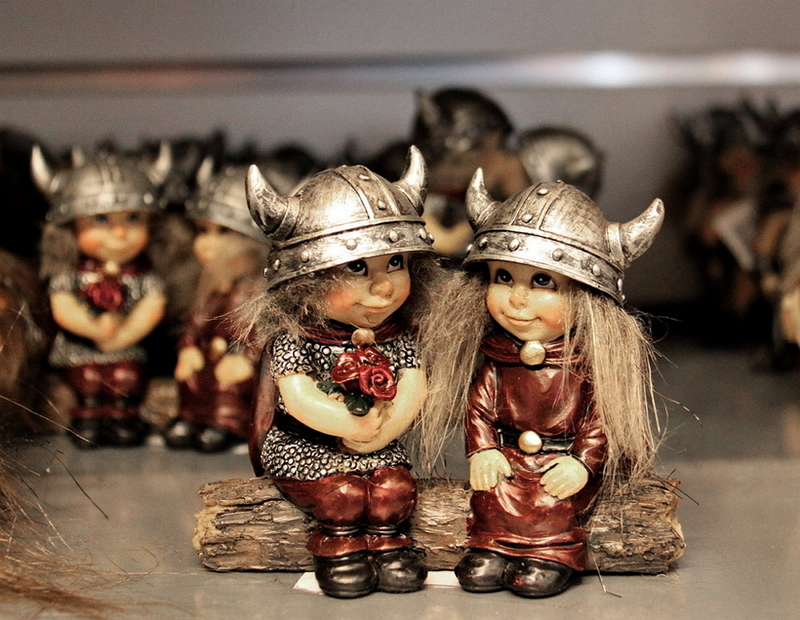 According to the beliefs of Norwegians, trolls should be bought by pairs because they feel bored when staying along and may start to play pranks. If you are going to present such trolls to one of your friends, you should image the face of your friend clearly and then look at the trolls. One of them will surely give you a sign that means that he wants to be bought by you. What sign? You will decide by yourself! If you decided to buy something delicious to bring it home, you should pay attention to the seafood and fish. 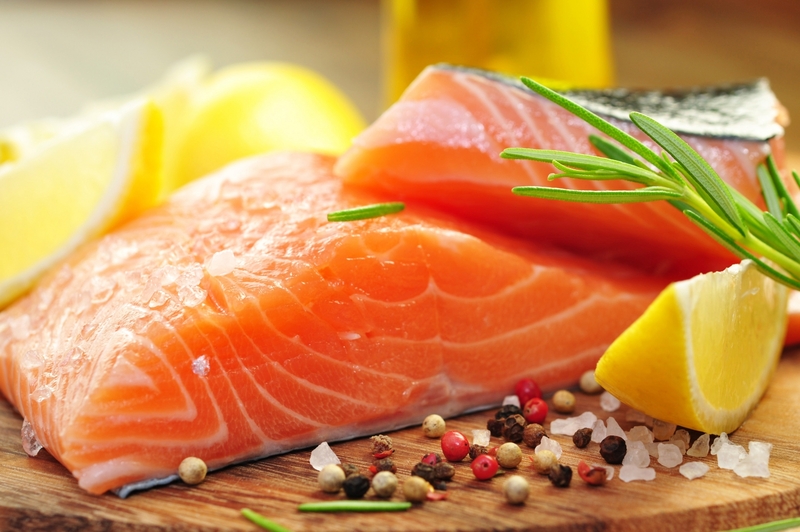 Especially tasty are smoked or salted salmon and trout. Dried cod has an excellent flavor, and it is quite popular among Norwegians. Meat delicacies are not that common, but you will find wonderful sausages made of wild meat and pressed spicy pork that is also quite tasty. There is one delicacy that is unusual enough to become a nice tasty present. Original Norwegian cheese called Bruhost is sweet and has a dark brown color. Bruhost, with toast, will make your breakfast quite Norwegian and really unusual. Geitost cheese is often made of goat milk and has a little bit of a salty and spicy taste. Be sure to buy a bottle of traditional Norwegian Akvavit – a strong alcoholic drink that is usually about 37-40vol. 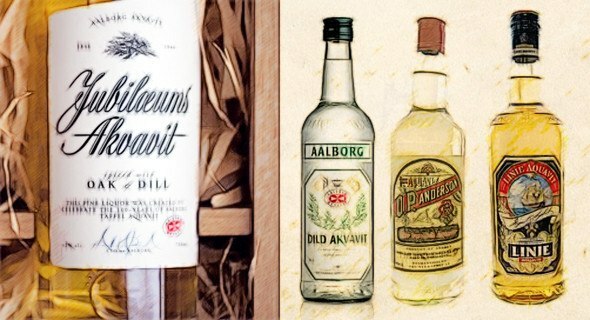 Akvavit is often infused with different herbs and spices like anise, caraway, and dill resulting in an original taste. Since the 15th century this remarkable drink was considered an integral part of Norwegian culture. The most popular kind of this drink is called Linier-Aquatite. Each bottle must make a journey to the equator on the board of a ship. During this trip, Linier-Aquatite gains its original flavor. On the label of each bottle, you will find a map with the route to the equator that it passed. In local stores, you can buy natural sheepskin or reindeer furs that will become an excellent blanket or bedding that are useful in the cold time of the year. You can choose a couple of souvenirs among the products crafted from deer horns. For example, an unusual knife with scabbards. Be sure to look for such an interesting device like a cheese cutter. The world’s first cheese cutter was invented in this country about 100 years ago, and since that time, millions of housewives around the globe use this wonderful device with great pleasure. You can also purchase one as a souvenir or a useful present.